1. Berries - Berries are very efficient against depression, as they are full of antioxidants that support the proper functioning of the brain and improve the cognitive function. In addition to this, berries also promote positive energy, they stimulate the production of “feel-good enzymes” in the brain and they can prevent a variety of potentially fatal diseases, such as cancer. The high amount of antioxidants also prevent cell oxidation caused by free radicals, and prevent premature aging. In other words, you should replace the traditional popcorn with frozen blueberries when watching TV or when you feel sad – you will not only stay fit in the long run, but you will also feel happier! 2. 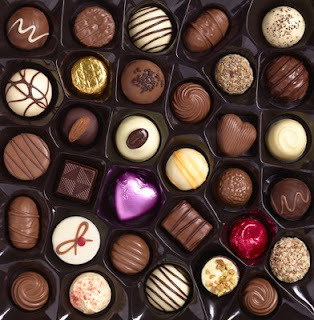 Chocolate - If you think chocolate is nothing more than a delicious treat, you are wrong! Dark chocolate can improve cognitive function, it can prevent Alzheimer and dementia and it can also boost your mood in a matter of minutes. The darker the chocolate you consume, the better! Dark chocolate slows down the production of stress hormone, and the anxiety levels automatically decrease – moreover, chocolate also makes the brain release endorphins and also boosts the serotonin levels. This creates a feeling of well-being that lasts for several hours. 3. Green Tea - Green tea has been used for thousands of years due to its numerous benefits. Just like berries, green tea is also very rich in antioxidants, amino acids and L-theanine, known for reducing stress and anxiety while improving the mood. If consumed on a regular basis, green tea can give a feeling of overall well-being. In addition to elevating mood, L-theanine found in green tea can also increase focus, memory as well as mental alertness. For a healthier, longer life doctors recommend one cup of green tea a day! 4. Bananas - Bananas contain high amounts of vitamins and minerals, as well as tryptophan which is known for raising serotonin levels. All the compounds found in bananas are mood-boosting, and vitamin B6 converts tryptophan into serotonin, the mood-lifting hormone. This way, you will not only feel better but you will also get a better night’s sleep. 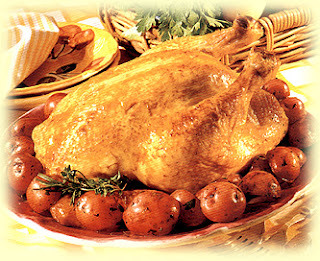 Tryptophan is a compound that is widely used in medications for treating insomnia, anxiety and depression. 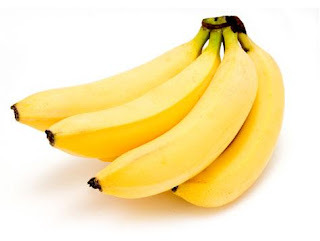 You can easily add a banana to your milkshake or eat them raw – regardless of the form, bananas can and will treat depression if consumed properly. 5. Sardines - Numerous studies have revealed the fact that people who are deficient in Omega 3 and Omega 6 are far more susceptible to anxiety and depression than those who have normal levels of fatty acids in the body. Sardines are rich in Omega 3 fatty acids, and this elevates the mood and keep the brain healthy in the long run. Moreover, sardines also ensure the efficiency of neurotransmitters because they keep the brain cells flexible and fully functional over the years (if consumed regularly). 6. Avocados - Avocados contain good, healthy fats that are known for raising the levels of dopamine and increasing endorphins. No matter if you consume avocados in the form of shakes or salad, this true superfood is perfect for lifting your mood when you feel blue! 7. Poultry – Just like bananas, chicken and turkey also contain high amounts of tryptophan which increase the serotonin levels. In addition to this, chicken and turkey are also very rich in tyrosine, an amino acid that helps the body cope with stress more efficiently. Also, it must be mentioned that tyrosine is the building block for norepinephrine and dopamine, two important neurotransmitters that can influence mood. If you increase your intake of tyrosine, then you will automatically improve your mood and prevent depression in the long run! 8. Dark Leafy Greens – Consuming dark leafy greens can also treat anxiety and depression due to the high amounts of acid, which elevates low mood and reduces fatigue as well. In addition to folic acid, dark leafy greens like romaine lettuce or spinach which ensure the proper functioning of the nerves and muscles. Besides, recent studies have shown that low magnesium levels can cause a drop in the levels of serotonin, therefore causing depression. 9. Eggs - eggs (especially egg yolk) also come in handy when you try to fight depression and improve your state of mind. Eggs are very rich in Vitamin D, and studies have revealed that Vitamin D can relieve mood disorders because it stimulates the production of serotonin in the brain. Moreover, doctors highly recommend consuming eggs during the cold season, to prevent what is known as “winter blues”. This is a seasonal affective disorders that affects a large part of the population, and it can be easily treated and prevented by consuming eggs on a regular basis. 10. 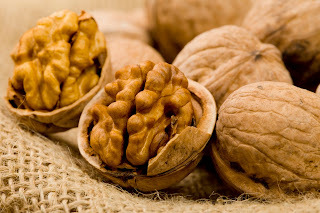 Walnuts - Last, but certainly not least on the list of 10 superfoods that boost a mood, walnuts are known to improve cell health due to the fact that they are the richest nuts in essential fats. Besides the fact that they elevate mood, ten walnuts a day can properly optimize the cell wall composition and lower blood cholesterol levels, which will automatically improve the blood circulation, treat depression and give an overall sense of happiness and well-being. To sum it up, these are the top 10 foods that can boost a mood quickly, naturally and without any adverse reactions that can endanger your health – not to mention that these superfoods are also more affordable. All the above-mentioned foods have been scientifically proven to lift mood, therefore you can replace supplement and pills with one or more of these foods. If you are predisposed to depression and anxiety, you can easily prevent these bothersome provided that you understand the relationship between food and mood. Certain foods can not only boost the efficiency of anti-depressants, but they can even prevent relapse in the long run.